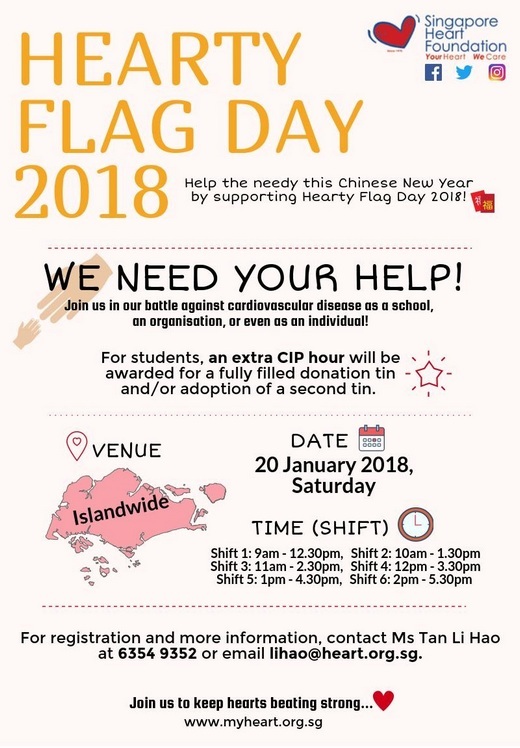 Hearty Flag Day is an important fundraising event for the Singapore Heart Foundation (SHF), as the funds are needed to provide financial assistance to needy heart patients and to facilitate public education programmes. SHF would be most grateful if you can support their Hearty Flag Day 2018 on the 20th January 2018 (Saturday) by signing up as a tin bearer! Start the New Year right by supporting Hearty Flag Day 2018!